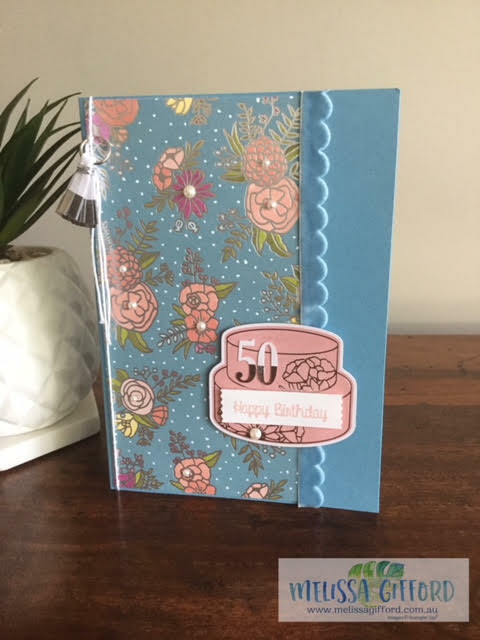 Melissa Gifford - Independent Stampin' Up!® Demonstrator: Yet Another 50th Birthday - and no it's not mine! Yet Another 50th Birthday - and no it's not mine! I had another customer order for a 50th Birthday card! There seems to be a lot of 50th birthdays happening around me at the moment! But I do not mind one bit - any chance to make a special card and gift I am more than happy to make! This card is slightly larger than normal but I forgot to take down the measurements sorry! I kind of made it up as I went along, making sure there was room for plenty of people to sign. I used the Sweet Soiree bundle in the Occasions Catalogue - sadly it is all retiring at the end of the month but there is still time to get it. The designer series paper is beautifully foiled and makes a bold statement on it's own. 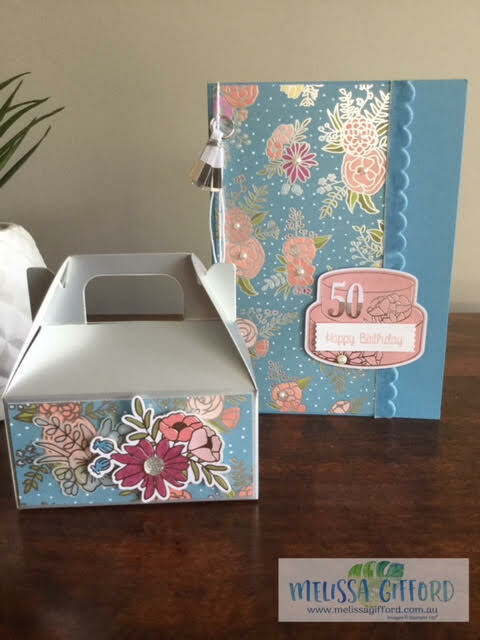 The card and the coordinating silver gable box were so easy to make with the Sweet Soiree embellishment kit - all the prices are pre cut and easy to mix and match. The die cut flowers for the inside of the card and the box were simply glued into place - no ink or scissors required! 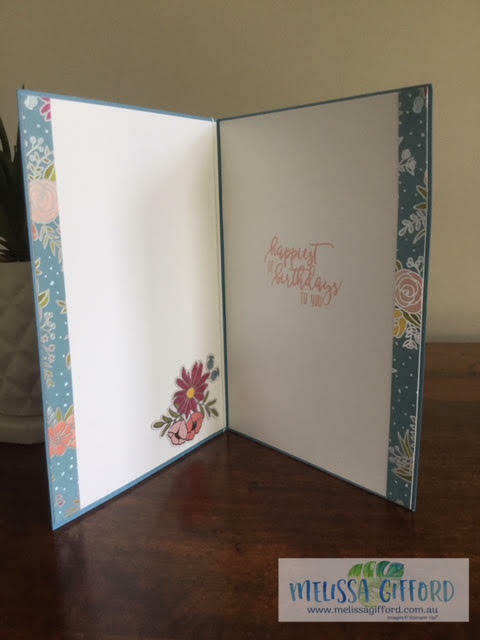 I made white inserts for both sides of the inside of the card and used some left over designer series paper and embellishments to add some interest.